While many aspects of Sonship have been analyzed in books on Judaism, this book constitutes the first attempt to address the category of Sonship in Jewish mystical literature as a whole - a category much more vast than ever imagined. Idel's aim is to point out the many instances where Jewish thinkers, especially the mystics among them, resorted to concepts of Sonship and their conceptual backgrounds, and thus to show the existence of a wide variety of understandings of hypostatic sons in Judaism. By this survey, not only can the mystical forms of Sonship in Judaism be better understood, but the concept of Sonship in religion in general can also be enriched. "The Kogod Library of Judaic Studies" aims to publish new research in all areas of Judaic studies with the potential to both enrich and deepen the understanding of Jewish culture and history and to influence and mould Jewish life and philosophy. The series reflects the existence of plural Jewish identities and streams involved in a lively and continuous multi-vocal religious discourse, and in creating a cultural mosaic. "Moshe Idel increasingly is seen as having achieved the eminence of Gershom Scholem in the study of Jewish mysticism. 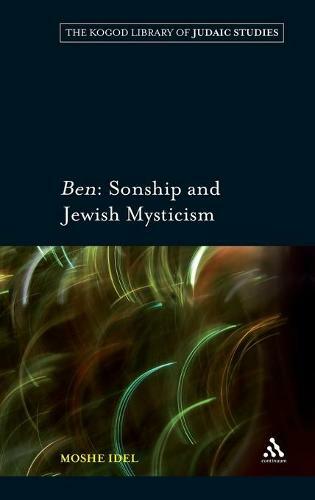 Ben, his book on the concept of Sonship in Kabbalah, is an extraordinary work of scholarship and imaginative surmise. If an intellectual Judaism is to survive, then Idel becomes essential reading, whatever your own spiritual allegiances."